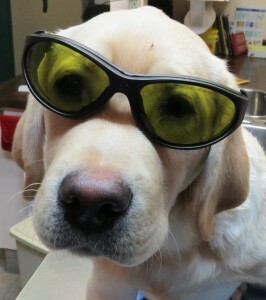 Laser therapy reduces inflammation in the targeted tissues. The main way this is achieved is by dilating the blood vessels in the area and activating the lymphatic drainage allowing fluid build up to drain away from the site. It also reduces inflammatory mediators that are activated by the body in response to an injury. To the patient, this reduces swelling, redness, heat, and bruising in the targeted area. Laser dampens the sensory nerve endings supplying the damaged or injured tissue and increases tissue endorphin release. The patient will therefore feel less pain in the targeted tissue. Pain control and the laser’s anti-inflammatory properties are the most important effects of laser for our arthritic patients. Light photons from the laser penetrate deep into treated tissue and stimulate cell growth and repair. It stimulates cells to do their job better and to heal if they are damaged. At the tissue level, one of the most important effects of laser therapy is its ability to increase blood flow to the treated area. The body needs healing mediators and nutrients delivered to damaged tissue for optimal healing. This allows tissues to heal faster. 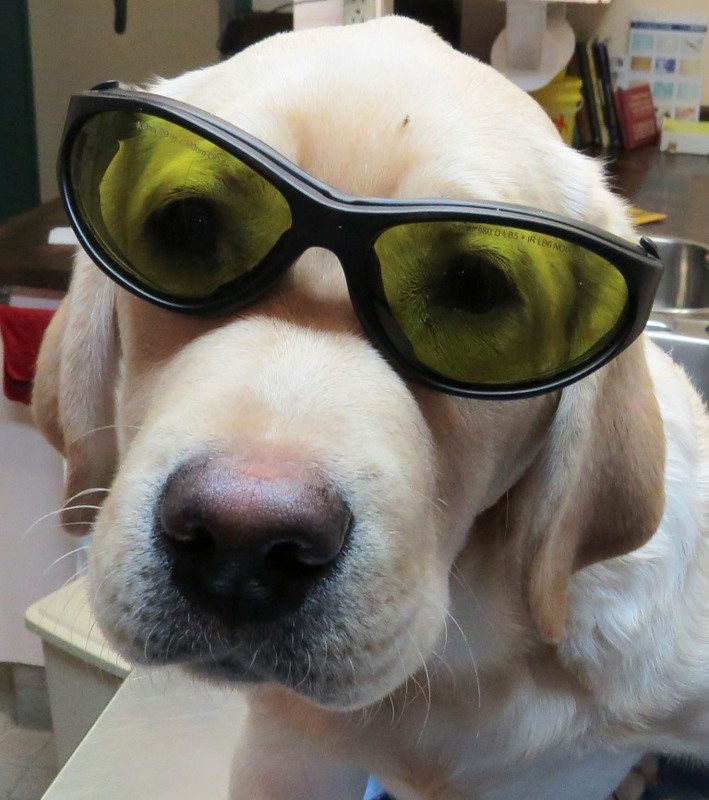 Laser therapy stimulates muscle trigger points and acupuncture points without the need for needles (which can cause some added anxiety for owners!) and provide musculoskeletal pain relief. With faster healing and healthier tissue, the body will form less of a scar after surgery or an injury. One of my favourite applications of laser therapy is for nerve damage. Nerves heal incredibly slowly after an injury. Laser therapy can accelerate nerve cell repair. What do all of the above mean for your pet? Faster healing time & less pain! !